This year’s Henley Regatta was one not to be missed and out of 10 year’s attending the event, this was undoubtedly the best! As I walked into the River Lounge early on Wednesday morning I was greeted to an oasis of calm in the shades of soft green and cream with subtle hints of sparkle and a relaxed feel with the well appointed low ‘chill out’ areas. Even though I say so myself, we were a ‘well oiled machine’ this year and this was mainly down to the catering staff, Managers and of course the chefs. The service was slick, the food delicious and there was a lovely atmosphere on all days in our facility at Henley Royal Regatta with guests truly enjoying their experience. It makes for a happy marquee when you can see and hear guests delighting over the decor, food and of course staff service. Our garden had been doubled in size which allowed us to place a covered chill out area at one end and have a lot more wooden furniture which meant all clients had a chance to enjoy the sunshine in comfort. The menu was once again mouth watering and to be honest, there is not a moment when food of some description is not on offer!! Breakfast muffins, croissants and of course, the delicious breakfast canapés – my favourite has to be the scrambled egg with crispy bacon and chives in a cone! – are on offer until midday and then lunch service starts at 12:30 until 14:00 depending on when your complimentary river cruise has been booked in. At 15:00 afternoon tea is laid out with sumptuous cream scones, cakes and delicate sandwiches and service ends at 16:30. Our river cruises this year ran throughout the day with guests being escorted down to their boat with a waitress ready to offer them sparkling wine as they begin their ride down the river taking in the wonderful Regatta atmosphere. The Bedouin Tent was only used at Henley Festival this year due to a lack of space on the Henley Regatta site but what a cracking bar with fantastic Moroccan decor, low lighting, big low sofas and cocktails to die for!! At the end of the evening the DJ had everyone bouncing around, arms in the air desperate for the night to continue! Hopefully – and if I have anything to do with it! – it will return to the Regatta next year for you to experience when you depart the River Lounge. As we closed the Henley Regatta doors, said our goodbyes and started the journey home, it truly was with an air of sadness that Henley Regatta was over for another year. 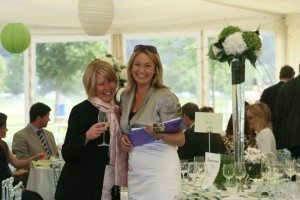 We are already taking bookings for 2012 so please do call us for more information – you won’t regret it!